DoubleClick Sales Manager (DSM) is going away…now what? You’re not alone in wondering what comes next. You, along with one hundred other DSM clients are pondering the same questions. 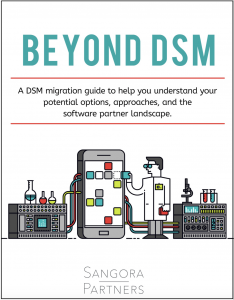 To help you navigate the road ahead, we put together a free 35-page DSM Migration Guide. This guide is written specifically for you, the current DSM client that needs help deciding the best path forward. Options – Build a custom order management system (OMS)? Partner with an OMS software provider? We break down the pros and cons of each options along with our recommendations. Selection – We jump-start your requirements gathering process by breaking it down to three simple focus areas. Approach – There are a few different ways to approach a system migration of this nature. Should you simply mimic your DSM setup? Perform a full overhaul? Somewhere in the middle? We review each potential approach and the pros and cons of each. Partners – If you decide to partner with an OMS software company, you’ll have a few options. We interviewed the top 5 companies in the space to have them break down their key differentiators, the migration process, and overall advice.